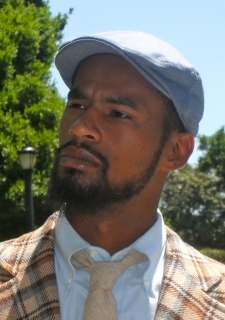 Ameer Hasan Loggins is a 2007 graduate of UC Berkeley, with a bachelor’s degree in African American Studies. Ameer also holds a Masters in African American Studies from UC Berkeley and is currently working towards earning his doctorate in African Diaspora Studies. His research explores Reality Television as a social phenomena, and how its effects on the perception of African Americans outside of a televisual space. Ameer has conducted research for Harvard University’s Du Bois Institute for African and African American research (The Hip-Hop Archive) and currently works with Harvard University’s Charles Hamilton Houston Institute for Race and Justice on a series of summer forums. Ameer also received the University of California Berkeley 2011 Graduate Council Advisory Committee for GSI Affairs, Outstanding Graduate Student Instructor Award. Follow him on Twitter @LeftSentThis.